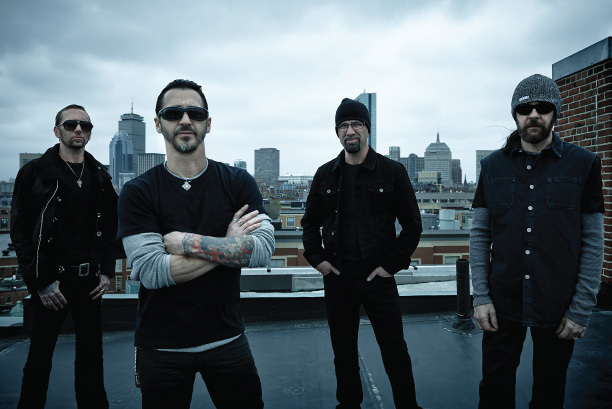 In February of 1995, after being behind the drums for more than 23 years, Sully Erna decided to start a new band. It was only a matter of time before he realized he needed to take charge and step out from behind the kit to front the band himself. One year and a couple of member changes later Godsmack was born. Sully Erna, Robbie Merrill and Tony Rombola hit the studio and recorded their first CD titled All Wound Up. They did this over one weekend for a measly twenty six-hundred dollars. Over the next two years, the band played throughout the Boston scene with drummer Joe Darco and began earning a strong reputation of being a great live band. The noise they were making in the New England area created a snowball effect like no other.